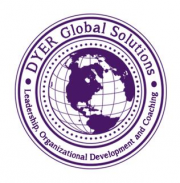 DYER Global Solutions (DGS) is a Service Disabled Veteran Owned Small Business (SDVOSB). 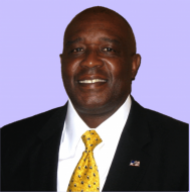 We are Leadership and Organizational Development consultants with capabilities to design and develop organizations. We also create and sustain the highest performance in organizations by helping them capitalize on the single principal force multiplier in business today – unified, authentic, and impactful leaders! DGS helps organizations become more effective, efficient and focused on the ultimate goal of delivering quality products & services. We educate teams on how to leverage business opportunities and increase their bottom line by teaching them to be proactive and engaged. We also serve specific Organizational Development needs of our customers and stakeholders while surpassing expectations. DGS embraces authentic team players who are committed to establishing trusted relationships and serving diverse clients, strategic partners and the global community. Accordingly, we have accrued a highly skilled group of professionals who possess diverse perspectives and a full range of multi-disciplinary talents and skills. DGS “Makes a Difference” by placing the DGS-Client relationship as our #1 priority!